Today is the first day!! 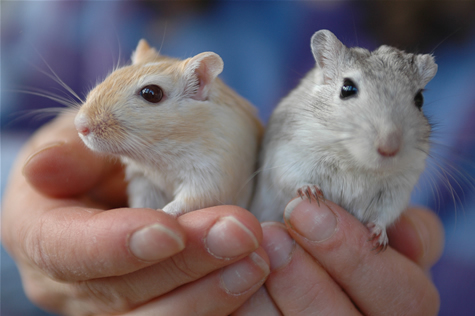 Gerbils are, in my opinion, one of the most adorable pets! Adorable is right! I have a dwarf hamster as our classroom pet and she brings a smile to the kids' faces every day with her cuteness and antics. So cute and yes, adorable! haha! cute :) I love hamsters! Nice to meet through the A-Z Challenge! And I am here to welcome you to the Challenge! Hey, they are cute--I mean adorable. Don't worry about the length of your post. Short is good, especially with pictures. So cute! My daughter came over to the screen to see that lovely header picture!